"Kinsmen of Steel, on August the 30'th we have obtained a major victory against the Warscar Reach when they tried to stop one of our minin' operations in Vol'dun up by the Temple of Akunda; a location very rich in monelite ore which we need for our Clan's explosives. When one of the Dwarves minin' operations or fortresses is in need, the Alliance gives aid. 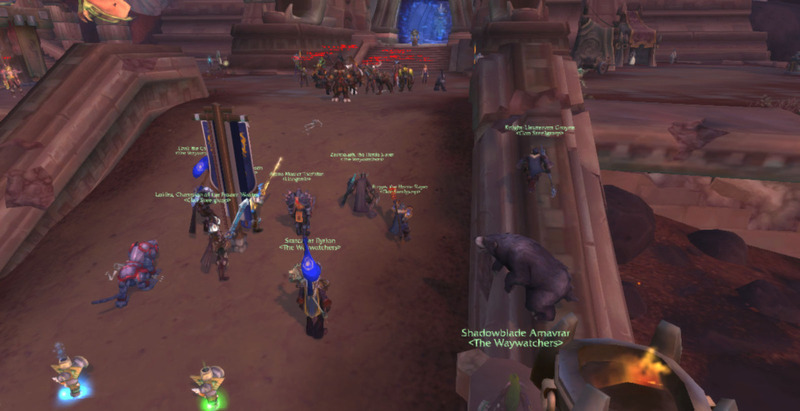 An so on, if our allies need assistance we Dwarves of Clan Steelgrasp are to lend such assistance, as we too are Alliance. This is only one battle of many though, and the Warscar Reach is far from done opposin' us. Wherever we should seek to obtain ore from our world, we can also expect to see them across the way standin' between us an our goal. But with every victory, we will only grow stronger as the ore obtained an items plundered will go on to in turn fuel the war efforts of our Kin an our Allies. Our raids upon the enemy lands, have only jus' begun. The event was quite fierce, though did have a few rules to it that were followed perfectly. ^_^ Which I thank everybody present for such. When one dies, do not release from your body until the entire round is over. Battle Rezing IS allowed, so staying in your body also helps folks do such easier. No out of server help! 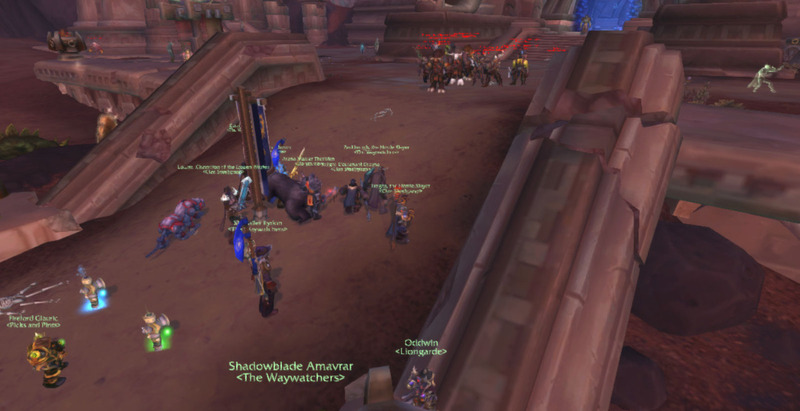 I know many of us know folds from MoonGuard, or EmeraldDream, but let's us keep these events to people from OUR server please. The event went up to the best 4 out of 7 rounds. When one side is defeated, they must back up and the winning side moves forward. After 4 defeats, the losing side must sound a full retreat from the battlefield. In which the winning side can chase off the losing side, or stay and hold the area. Up to them. Either way at this point we have a winning and losing side and a final conclusion to the one event. The RPPvP events are to also be planned between each GM of each guild involved at some point in time and even some of the Officers of the guilds if they so wish to attend the planning committee. This is only one of many events to come! Keep an eye out for more in the near future.